Mr. H. Ernie Nishii was born in East Los Angeles (Boyle Heights) and raised in Santa Ana attending a very diverse Saddleback High School. At 10 he started a gardening business which he used to help pay his way through college. He graduated with a BA in Political Science at the University of California, Riverside and shortly thereafter entered and graduated UCLA Law School passing the California Bar in 1992. He is the husband of Young Choi, and father of Yuri Nishii. At Leal ES he was part of the LEAP Foundation and grew an afterschool program that was at the core of Leal’s Blue Ribbon designation. He helped create the Winter Arts Festival which enabled special kids to be part of the school community. Leading the foundation, he improved finances, improved participation, and grew a new bank of leaders to continue for the next generation. Following through to middle school, he has participated in the Whitney Summer Academy and Foundation fundraisers and is a member of the Foundation and PTSA. 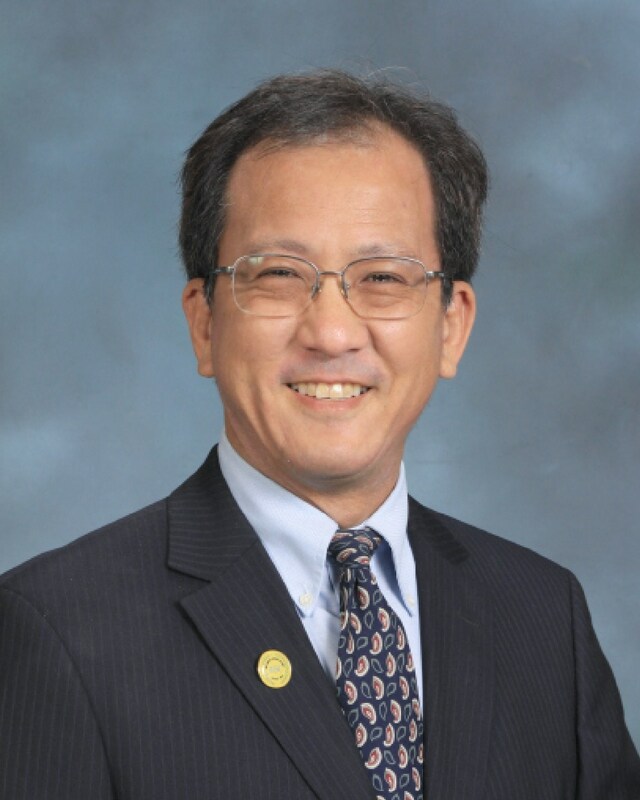 Mr. Nishii is a current a director on the SEJSCC Board and volunteer legal counsel for Historic Wintersburg. He wants our education to be multidimensional and passionate. His family was incarcerated during WWII and he remembers stories his grandfather told about what happened. When history is only in our books and not in our hearts—we forget and repeat the sins of our past. Quality education can enable us to rise above this. Recognizing that ABC is an excellent school district, he is working to be a partner with administrators, teachers, staff, parents, and the community to make our schools even better. 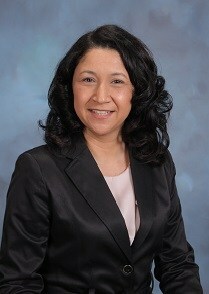 Dr. Olga Rios grew up in Hawaiian Gardens and attended local ABC schools. She attended Hawaiian Elementary, Fedde Middle School, and graduated from Artesia High School. Since then has attained a Bachelor’s degree from California State University Long Beach; a Masters Degree from Harvard University; a Teaching Credential from UCLA extensions; an Administrative Credential from UC Irvine; and most recently a Doctorate Degree from USC’s Educational Leadership Program. She beat the odds and knows others can too. She is also an involved parent. The city of Lakewood has been her home for the past eighteen years and has been a great place to raise her two children. Her daughter attended ABC schools and graduated from Artesia High School in 2017. Before that her daughter attended Carmenita Middle School and Leal elementary. Her son is in fourth grade and making his way through ABC. Participating in her children’s education has been a priority for her. She has served on PTA, been PTSA President, and served on School Site Council committees. She knows the value of parent participation. Dr. Rios is an advocate for children. Currently, she is a school administrator and oversees a middle school for Bellflower Unified. Before that, she was a teacher for sixteen years. Dr. Rios believes that her success can only be truly meaningful if she helps others. This has been her mission as a teacher, an administrator, and will be as a Board Member. She understands the importance of preparing all ABC students to be college and or career ready. In her free time, Dr. Rios enjoys reading, watching her son play baseball, and helping her daughter transition to college. Sophia Tse was elected to the ABC Board in 2007, re-elected in 2011, and in 2015. Sophia Tse is a Director of Post-Partum, Nursery and Neonatal Intensive Care Unit. Sophia has been a resident of Cerritos for 27 years. All three of her children attended ABC schools. 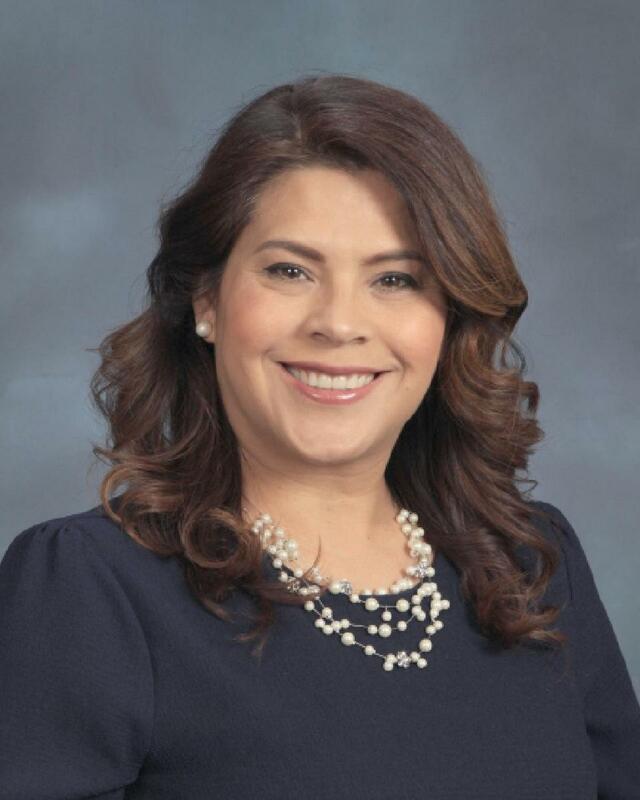 Sophia has been involved in her children’s schools as PTSA board member at Carmenita MS and Whitney HS, chairwoman at Whitney HS Chinese PTSA and volunteer nurse practitioner for Cerritos HS soccer teams. 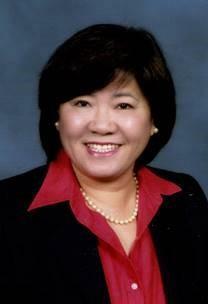 She has served in the community through the following organizations: Chairwoman and Board Member of the Southern California Chinese Culture Association; coach, team mom, and first aid provider for City of Cerritos soccer teams; participant in the March of Dimes Program for premature Infants; and community instructor for basic life support and parenting classes. Mrs. Tse was the liaison to the Career Technical Education Ad Hoc Board Advisory Committee. She believes that educational instruction should develop all aspects of the student, including the physical, intellectual, social, and psychological aspects, in order to create a well-rounded individual. She strongly feels that success in a student’s education can only occur through strong parental involvement and participation. Mr. Christopher Apodaca was born in Santa Ana, California to a working class family. As the middle of three children, he began working at the age of 15 as a janitor to help his family keep a roof over their heads. He is a product of the K-12 public school system and was a scholar athlete throughout his four years at Orange High School. 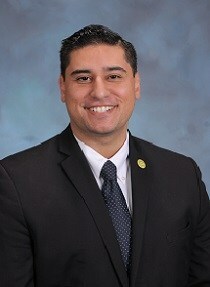 He is the youngest Latino to be elected to the school board and serve as Vice President. He has a Bachelor of Science Degree in Psychology, a Master of Business Administration in Accounting & Finance, and maintains a Federal NMLS License. Mr. Apodaca is actively involved in his community and has served on the board of various non-profit organizations. Among them are: the California Public Schools Advisory Council, the OC Children’s Language Center, Patriots & Paws, the ABC Education Foundation, and the Veterans Association of Real Estate Professionals (VAREP). He has received recognition from Congresswoman Linda Sanchez, State Senator Tony Mendoza, Assembly Member Cristina Garcia, and various local officials for his work with the Primary Intervention Program (PIP). In 2012 and again in 2014, he was named a “Presidential Management Fellow” semi-finalist. A competitive and prestigious program offered by the United States Office of Personnel Management on behalf of the President. He has been a member of the following organizations: Thomas I. Bergin Society, Pacific West Association of Realtors, the Surfrider Foundation, Young Professionals Network (YPN), the Orange County Association of REALTORS, the Santa Clara University Alumni Association, and the National Society of Hispanic MBAs. In his free time, he enjoys spending time with his Labrador retriever, watching Netflix, and playing the piano. He has also been sighted singing karaoke on occasion. Mr. Maynard Law is a retired Special Education Teacher as well as a retired public administrator. Maynard has been a resident of Cerritos for 38 years, with both of his sons educated in ABC. He has extensive involvement in the school district and the community. He has served the community on various ABC School District advisory committees, coached more than 40 youth sports teams, volunteered as a scout leader, as a member of the Friends of Cerritos Center for the Performing Arts, as President of the Cerritos Optimist Club, and as Chairman of the City of Cerritos Parks and Recreation Commission. He feels honored to continue the leadership excellence that is the cornerstone of the ABC District. He believes that continuing strong partnerships among parents, teachers, administrators, employee groups, and the school board is a priority. He believes that a primary role of a board member is to ensure that every student has the resources to achieve academic success. Mr. Law is the liaison to the L.A. County Committee on School District Organization and the L.A. County School Trustees Association. 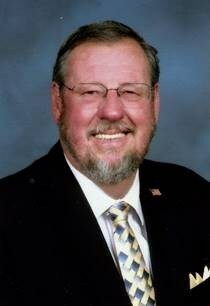 Mr. Law serves on the Southeast ROP Board of Trustees. Mrs. Leticia “Letty” Mendoza is a lifelong educator who has dedicated her life to student success, community service and providing a helping hand to those most in need in our community. A product of public schools, Letty earned a Bachelors of Arts Degree in Child Development and a Multiple Subject Teaching Credential form California State University, Los Angeles. A second-generation educator, Leticia has been a local elementary school teacher for the last 18 years at Brooklyn Ave. School in East Los Angeles. Prior to becoming a teacher, she was a paraeducator at Brooklyn Ave. School, the same school she attended as a child. She comes from a family of educators and her husband is also a teacher; in fact, they met while teaching at the same elementary school. Additionally, Letty is also the president and co-founder of a non-profit organization, the Southern California LEAD Foundation. The foundation’s mission is to improve the quality of life of the South East Los Angeles County residents through programs, projects, sponsorships and scholarships based on Leadership, Education, Advancement, and Development. Letty has also been very involved as a parent in the ABC Unified School District. She was a parent volunteer at Niemes Elementary School and was a past president of Ross’ Colorguard Parent Group. She and her family annually support and sponsor the ABC Fun Run, which raises money for the ABC USD Foundation. In addition to her involvement with ABC USD, Letty has also been involved civically in her community. She is a member of the Artesia Parent Volunteer Group, which supports the City of Artesia's Parks & Recreation Department by raising funds and volunteers at community events. She has served as the Team Mom for the past 3 years on her son’s baseball team at Artesia Park. Additionally, she and her family annually support and sponsor the Friends of the Artesia Library and North Artesia’s Posadas and toy giveaway. Letty is a mother of four – Samantha, Anndrea, Annais, and Antonio (three of which currently attend ABC schools). She resides in Artesia with her husband, State Senator Tony Mendoza. 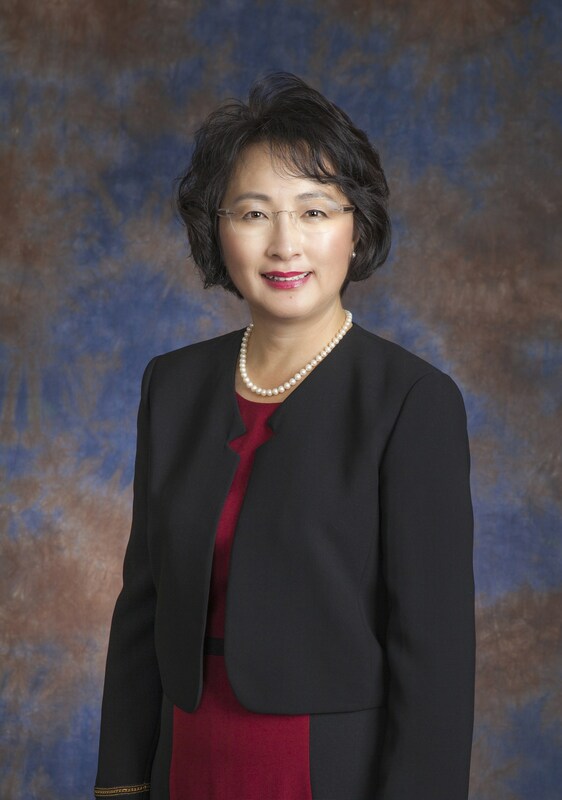 Mrs. Soo Yoo is the Founder and Director of an after school Tutoring and College preparatory academy since 1994. Soo earned her Bachelor Degree from University of California, Irvine and a Master’s Degree in Counseling from Westminster Theological Seminary. Soo is fluent in English, Spanish, and Korean languages. Soo has extensive experience as a College Admission Consultant, newspaper education columnist, speaker for PTA sponsored college prep seminars at ABC Schools, and Committee Member on the City of Cerritos’ Let Freedom Ring Committee. She is also a member of PTA at Wittmann Elementary and served on the School Site Council at Gahr High School. Additionally, she served as a girl’s volunteer basketball coach for the City of Cerritos Park and Recreation. In 2007, Soo founded the American Red Cross, Gateway Chapter. She is the Artesia/Cerritos Annual Team Sponsor for American Cancer Society-Relay for Life since 2008. Soo is an advisor to the Mid-City Korean Senior Association. A Cerritos resident since 1996, Soo is married to Sam, a Pastor, for 22 years. They have four children: Hannah, Amy, Rachel, and Abigail. They all attended, or attend ABC Schools at Wittmann Elementary, Carmenita Middle School and Gahr High School.